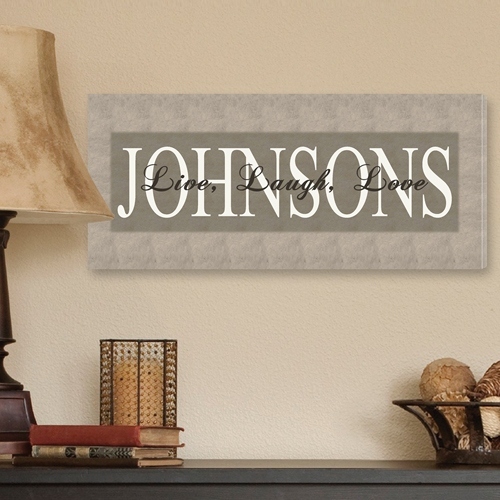 * Add a touch of personalized elegance to your home with this beautiful Live, Laugh, Love canvas print. * Customized with your family name in soft white text, it features the popular quote, “Live Laugh, Love, ” in dark grey stylized script. * Modern and elegant, it looks great with a variety of color schemes and styles, both modern and traditional.